Warning. Inter-galaxy portal is now open. Intruders approaching. Portal failure. Portal must be closed manually. Thank you. Well, time to take out these pests and close that portal!. 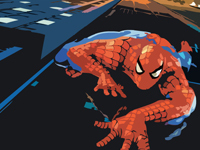 These new experimental webs should come in handy! . 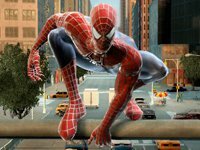 Share your Spider Man Games : Spiderman Monsters Under Midtown Game tips and tricks!